US law firm Lowenstein Sandler has opened a global trade and policy practice, based out of its Washington DC office. Chairing the new group is Doreen Edelman (pictured) who, together with three colleagues, leaves Baker Donelson to join the firm. The practice will advise clients on what it calls the “growing array” of US government regulations of global investments and trade, including foreign investment restrictions, trade sanctions, import tariffs and evolving export controls. Edelman was most recently co-leader of the global business team at Baker Donelson. She has over 30 years of experience advising companies on export compliance, foreign investments and global expansion, including representing the government of Oman in bilateral negotiations with the US government that led to the US-Oman free trade agreement. She is also general counsel to the American Turkish Council, a trade organisation of major US and Turkish companies. 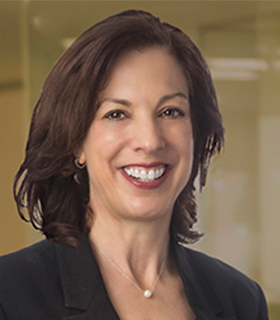 Edelman joins Lowenstein Sandler with three colleagues from her prior firm. Abbey Baker joins as counsel and Andrew Bisbas as an associate. They both focus their practice on trade compliance issues, including import and export controls, economic sanctions, and anti-bribery and anti-boycott compliance. Megan Bodie, meanwhile, joins as trade analyst. She researches a broad array of trade topics, including customs classifications, statutory and regulatory updates, international trade statistics and trends, and government enforcement actions. The team will assist clients in managing and reducing risk, especially regarding Chinese tariffs, by drafting exclusion requests and providing strategic guidance on these matters. “Lowenstein clients in key economic sectors will benefit from the team’s counsel regarding foreign investment risks, evolving regulatory burdens, and technology-related issues pertaining to export issues,” reads a release issued by the firm.